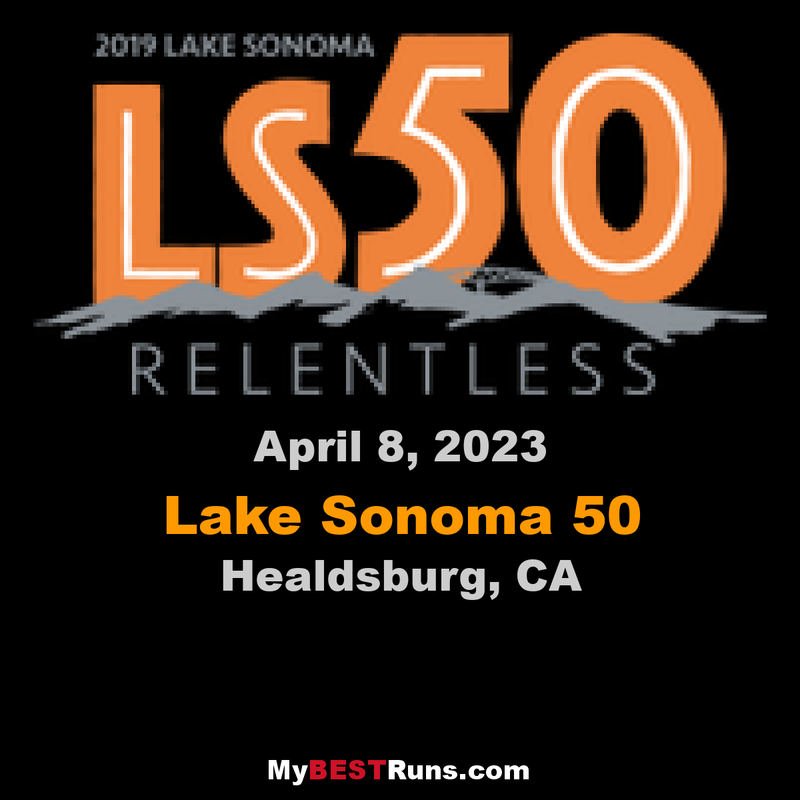 The race is held on the rugged trails at Lake Sonoma, about 10 miles northwest of Healdsburg. The course is 86% single track and 9% dirt roads, with the first 2.4 miles on a paved country road.The race starts at 6:30 a.m. and has a 14-hour time limit. 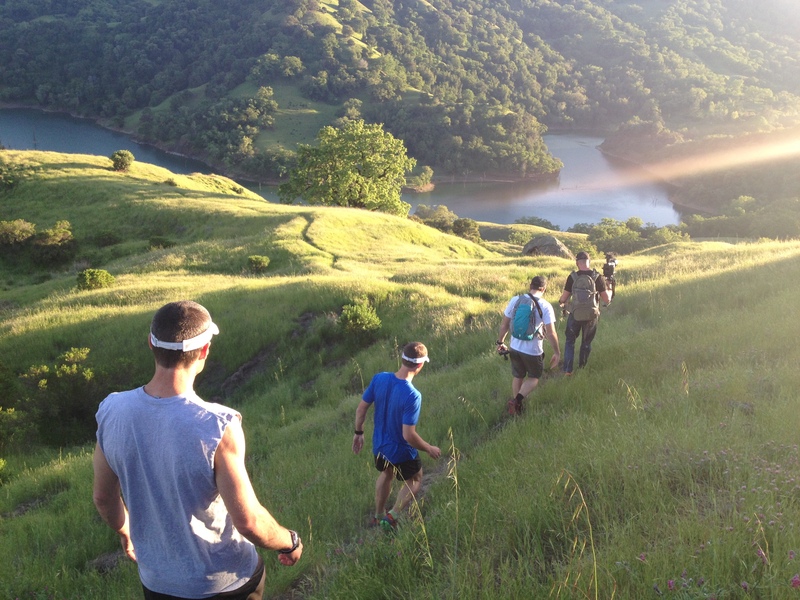 The course is an out-and-back circumnavigation of the Warm Springs Arm of Lake Sonoma. It is 86% single-track trail and 9% dirt fire roads, with thefirst 2.4 miles on pavement. The trail is relentlessly rolling with threesignificant climbs. There is about 10,500 feet of elevation gain and anequal amount of loss over the 50 miles. Trail quality is generally good;there are very few rocks and almost no roots. However, much of the trail isseldom used and so you can expect a lot of leaves and sticks on the trail.There are twelve creek crossings and it is likely that your feet will get wet in most – if notall – of them.